It’s estimated that three out of every four women experience some type of symptom related to premenstrual syndrome (PMS). If your PMS is affecting your quality of life, treatment is available. Tina Mehta, DO, FACOG, and Melissa Kushlak, DO, FACOG, at Elite OB/GYN are women’s health experts who can devise a treatment plan specific for you to help relieve your PMS symptoms. Call the Fort Lauderdale, Florida, practice today or schedule an appointment online to get treatment for your PMS. PMS refers to the variety of symptoms women may experience during their menstrual cycle. You may notice a particular pattern to your symptoms, but the severity may vary. Doctors are still researching the exact cause of PMS but believe it’s due to the hormonal fluctuations your body goes through during your menstrual cycle. Low levels of serotonin, a chemical found in your brain, may increase your risk of various PMS symptoms. PMS causes both physical and emotional symptoms. The severity of your symptoms can vary but usually disappear by day four of your period. Some women, however, experience severe emotional symptoms that can be disabling. This is referred to as premenstrual dysphoric disorder. When should I get help for my PMS? 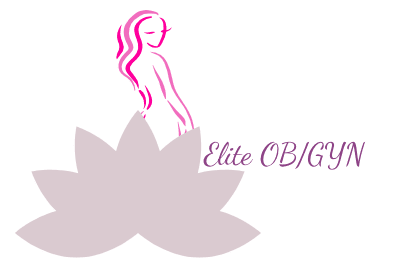 If your PMS symptoms are keeping you from doing the things you enjoy or affecting your relationship with others, the all-female team at Elite OB/GYN can help. Call the office to schedule a consultation and learn about your treatment options for PMS. There’s no blood test or procedure that can definitively determine that you’re suffering from PMS. To help pinpoint the cause of your symptoms, your specialist at Elite OB/GYN may have you keep a diary to track your symptoms as they relate to your cycle. To get the best results, you may need to go through two menstrual cycles to help establish a pattern. Your specialist may also make lifestyle recommendations, such as limiting your intake of caffeine or salt, getting regular exercise, and finding tools to help reduce stress, such as meditation, to help improve your symptoms. For help with managing your PMS, call the women’s health experts at Elite OB/GYN or schedule an appointment online.